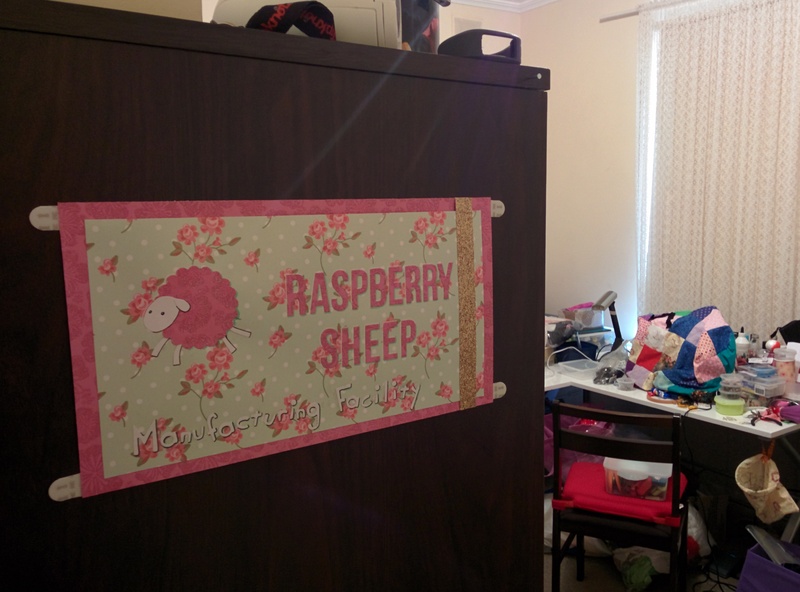 I have been quite busy lately, sewing, painting, gluing, masking, embossing, repairing and falling over… the usual. I still can’t get the app to work, and it is so frustrating that I can’t post from my phone. I went shopping today and picked up some cheap kids watercolours, and some watercolour and canvas paper to practice for the upcoming crazy Christmas card creation season. I’ve been masking and embossing for resist techniques mixing in a little calligraphy to make some cards. I was thinking of making it easy on myself, and making them all similar, using just masking and watercolour, but that feels a little too impersonal. I was already in trouble last year when I was in the middle of my course, and didn’t hand draw peoples cards, and lumped families together to save time. That’s why I have to start early this year. Although, I do have a large project on the way for my other website that I run with my partner, so, I’ll have to start getting into gear. Maybe even design a schedule. Which will take even more time. 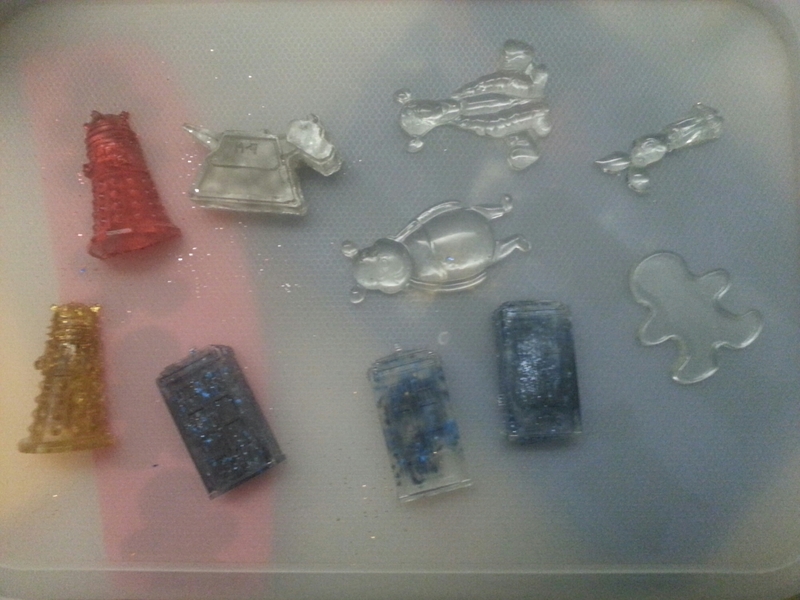 Most of my moulds that I filled the other day have dried. not all of them came out nicely. 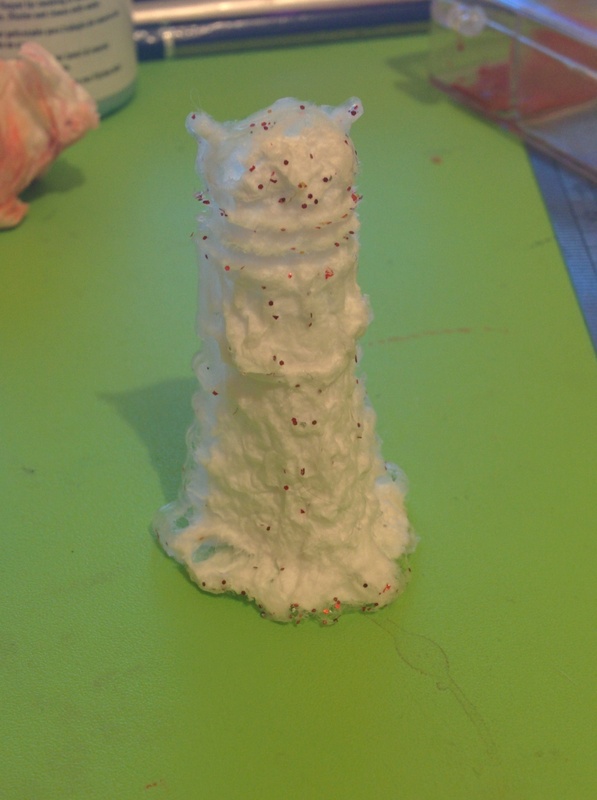 I have a Dalek that looks like he could do with some rehab and less stripper glitter. I’m sure there’s a great backstory that could be made up for that one. I suppose that’ll teach me to clean out my moulds before using them. I forgot to take my stylus out the other day, when I went shopping and had a long bus ride, so I wanted to buy a new one. It took me four shops before I found one in a Japanese variety store. It turned out to work better than my other one, and is much more soft and responsive, so I’ve been drawing avatars and Pokemon fusions on my phone a lot lately. It’s useful for long bus rides, although that can get bumpy. I might have to try posting without pics on my phone, then add them in later. That way, I can post more often, but you won’t know what I’m talking about until I update everything. I’ve been meaning to go back and correct all my mistakes that I’ve made, since my phone doesn’t spellcheck in the app. I have been creating, It’s just been hard to upload. This past week, I’ve gone shopping, done painting, watercolour, colouring, glittering, gluing, wrapping and cutting. My phone decided to update, causing a bunch of photos to be incompatible, somehow. Due to this inconvenience, I would go to post, then decide to fix it the next day, then forget to. 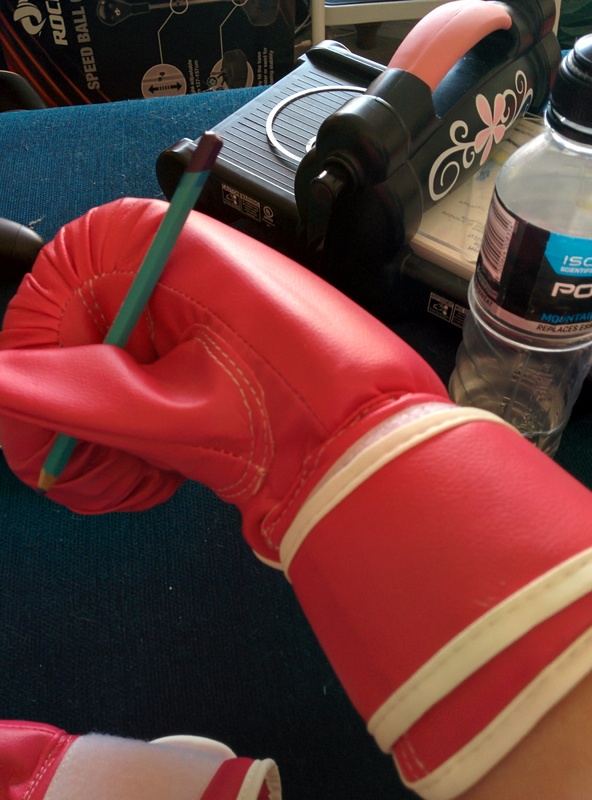 Last week, I conveyed my love for adhesive felt, but I was mistaken. It is not the felt that i felt so strongly for, but its adhesive properties. I discovered this when I went to buy some adhesive felt (at $4 for an A4 sheet) but found a discount bin with double sided adhesive sheets, and stocked up at $2 for 4 A5 sheets. Since I have a huge box of felt, this was not only cheaper, but much more versatile. Once I got the sheets home, I began to think of all the things that I could do with this, that I couldn’t with the felt. I’ve been making my own stickers out of paper, fabric, wrapping paper, drawings, foam and felt. I’ve been glittering shapes that I cut out of the adhesive with punches and dies. I have even made alphabet foam stickers out of my tiny alphabet die. There are so many things i can make with this, I even tried making nail stickers. That might need some work. 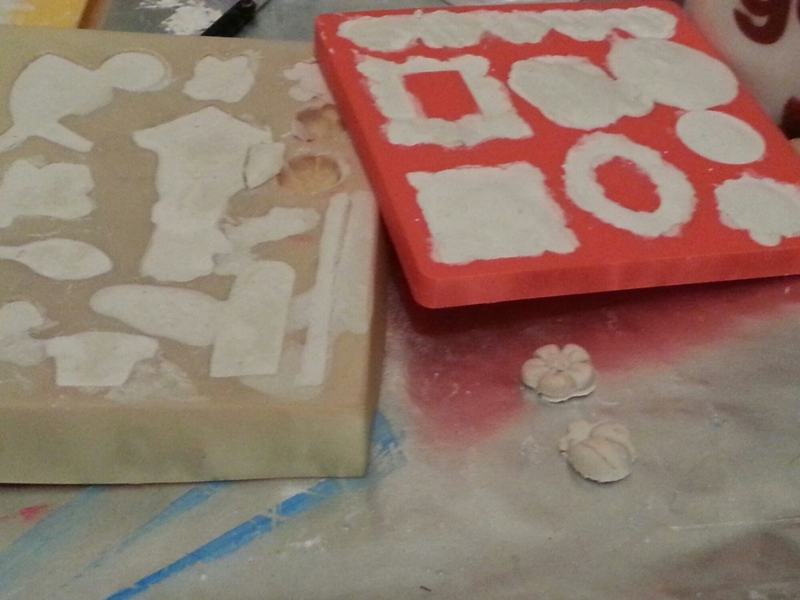 I found a couple of adorable moulds at a variety shop last week, so I used tissues and watered down pva to cast them. There’s a lot of different animals on one, and Rilakuma bears on the other. I have some more drying at the moment. This morning, this video came up in my recommended videos on YouTube, and I thought it was great, and something more people should hear about. I’d better go so something nice and quiet in a corner somewhere while I recover from the Gym. The joy of being an artist – being able to cut up little pieces of paper, acceptable after the age of ten. I went shopping today and picked up some glue. I don’t know when it got so expensive to get at the craft store. I found some cheap stuff in the general store, luckily. Otherwise, my paper mache would have to wait till I could justify expensive glue. I picked up some very cheap jewellery findings that were on sale, and bought a gem themed mould by Wilton. If found a lovely wooden box with laser cut designs in the lid, which I’m unsure what to do with, but it looked pretty and was cheap, so I’ll figure something out. The picture actually shows a bunch of toilet paper that I cut up to try a new idea for filling moulds. 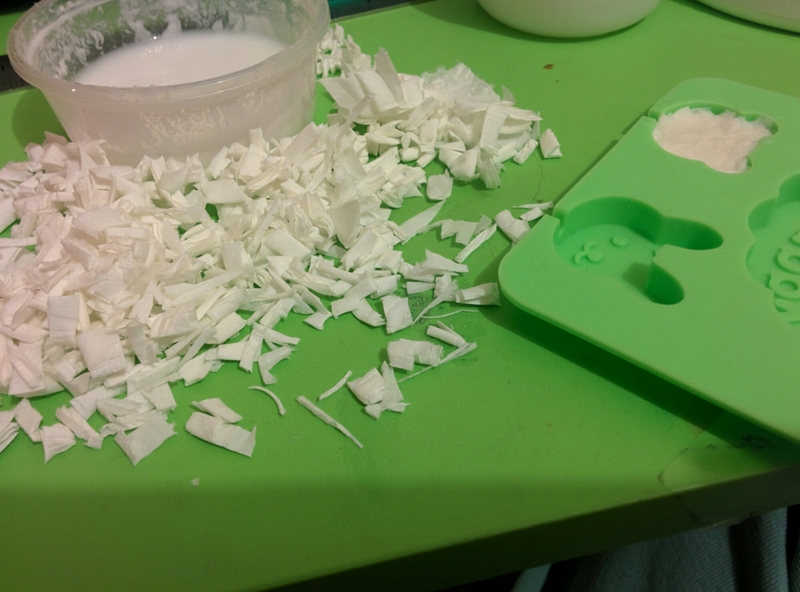 With my water and PVA mixture, I chucked a few pieces of paper in the mould, then patted down with a tool. It worked a lot faster than when I use each layer individually. In the end, I got bored and put all the paper in the glue mixture, to make a paper clay type dough. It was still lumpy after a while of kneading and adding straight glue, but I pressed it into moulds anyway to see how it goes. Any remaining dough was put into the container and dampened to help break down the fibres for playing later. Reminder: invent odourless nail polish that is asthma friendly. Next batch of overwhelmingly smelly yet very pretty objects popped out. They’re still soft, so probably should have waited a little longer, but I was impatient, and they’ll dry better not surrounded in the mould. 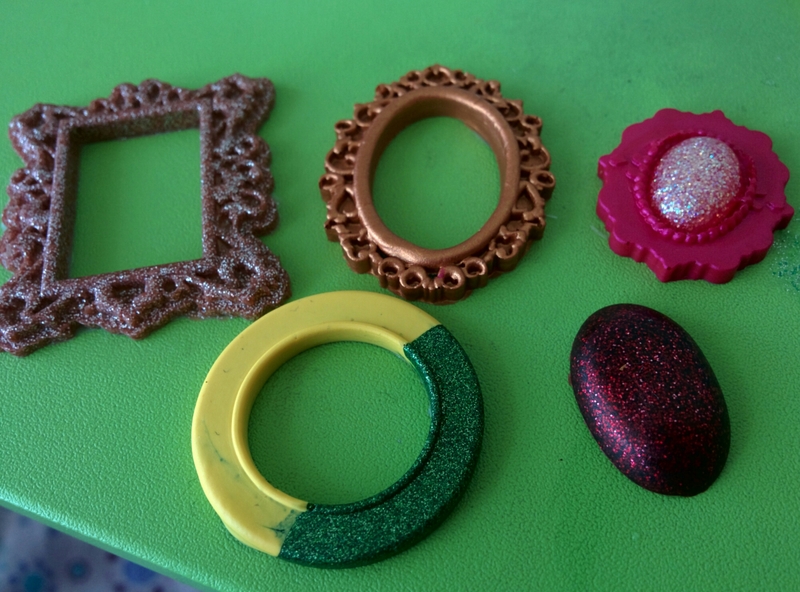 I was looking at the other Mod Podge moulds that are in the set, and they have an actual gem shapes one. So, looking to be buying that asap. They’ll look lovely on boxes, I think and light enough for cards. Detailed for small projects. The bronze frames would work well as frames in a miniature room. The green and yellow ring fits inside a bottle cap, but I’m unsure what to do with that information. If it wasn’t so cold, I’d do these things outside, maybe I should put it off until it warms up. Not like I have nothing else to create till then. You may be wondering where I bought these cool looking gems and bee from, but I made them. Cool, huh? Using old nail polish (I love buying it but can’t apply it if my life depended on it, so I use them from craft,) I filled some small moulds full of nail polish, and waited for it to dry. When it dries, it kind of depletes, leaving a shell, so I refilled it once more with the polish, and when that dried, I filled the rest with glue, all before taking it out of the mould. The bee was a lot trickier to get out of the mould, but that was a sculpey mould, and wasn’t as dense as the other, Mod Podge brand mould that I used, which works so well. It takes quite a while for each layer to dry, and our house now smells like a nail salon, but I think they look awesome. The glitter polish seems to look best on the smooth cabochons, and more detailed ones are better with plain or superfine glitter. I have another bunch of experiments drying at the moment using the Mod Podge mould, including two colours and all the different shapes. Now that I think about it, I have a Wilton mould that might act similar to the Mod Podge one. There’s a whole bunch of moulds that I’d like to buy. I’m working slowly on the website. Really slowly. Getting back into the swing of coding is fun, but there’s a lot that has changed. It’s less HTML and more CSS, and when did DIV replace tables? Eh, even getting the layout and colours right is tricky. Don’t even talk to me about the logo. I printed out a test and the raspberry colour was pixelated orange with unreadable words. I brought out my tablet today after watching a video on Photoshop colouring techniques that I hadn’t seen before. Unfortunately, one of my cats decided it was a good time for cuddles, and kept stepping on my keyboard, changing my settings all the time. At least they don’t get messy stepping on my digital painting. I decided writing ‘day’ in the title is somewhat midleading, as I miss days. But this also gives me the opportunity to post multiple times a day if needed. I’ll keep the number so I can see how I’m progressing. I unmasked the resin this morning, and they turned out rather well. My partner really liked the dr who ones. Not too many bubbles made it through, and they aren’t that noticeable. The glitter worked on a couple, but I blame the resin drying too quick for that. The red dalek looks quite good with just a layer on the back, but K-9 was too thick for it to show through properly. I would mix the glitter in the resin before pouring, but by the time I’d mixed all the colours, they would start to set before I get it in the moulds. I think painting on the clear ones will be successful, then coat with clear nail polish. The Dr Who figures all stand up, so that’s useful. I think I’ll probably turn them into Christmas decorations. Shopping day, Yay! Had a short time but a fun time out. 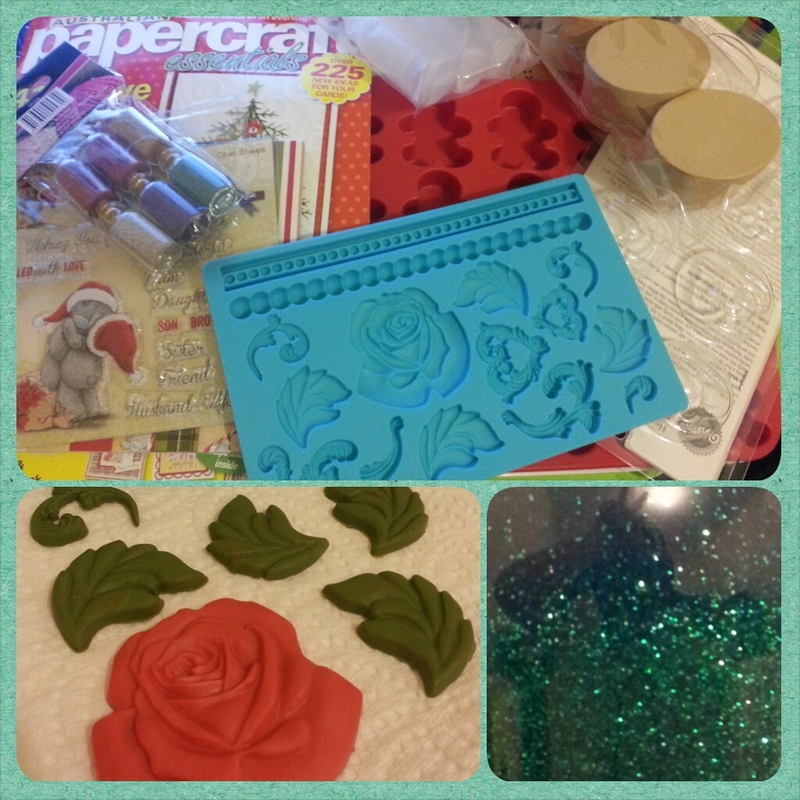 At the craft store I bought some floating charms, a chocolate mould, a silicone baking mould and a Wilton fondant mold, all for crafting purposes. I got some more white card stock, some geisha doll fabric and a cheap magazine with next to nothing good but nice patterns and colours for cutting out. I got two magazines, one on digital painting and sculpture, and a card making magazine which I got for the cute Christmas ‘me to you’ stamps and paper. 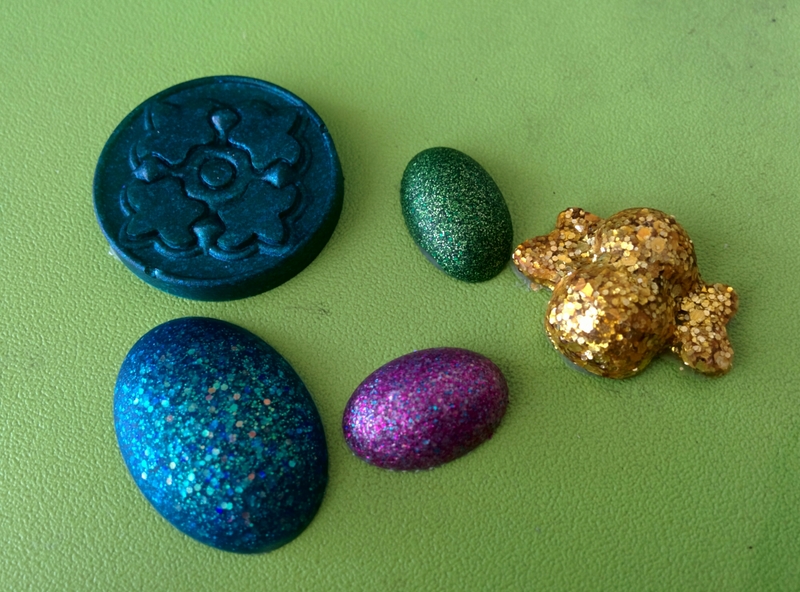 I then got some beautiful turquoise glitter paint, which is the bottom right picture. The picture looks more green than it is, since it looks like green glitter floating in blue. I also picked up some bottles with fine tips which are perfect for PVA glue, especially because I buy big bottles and use them to refill the little bottles. In the craft store, we saw scrapbooking paper that was just brown paper with coloured designs, which would be so easy to make, as I have the same stamps as the design. I’ll have to make some presents this year so I can make my own wrapping paper. 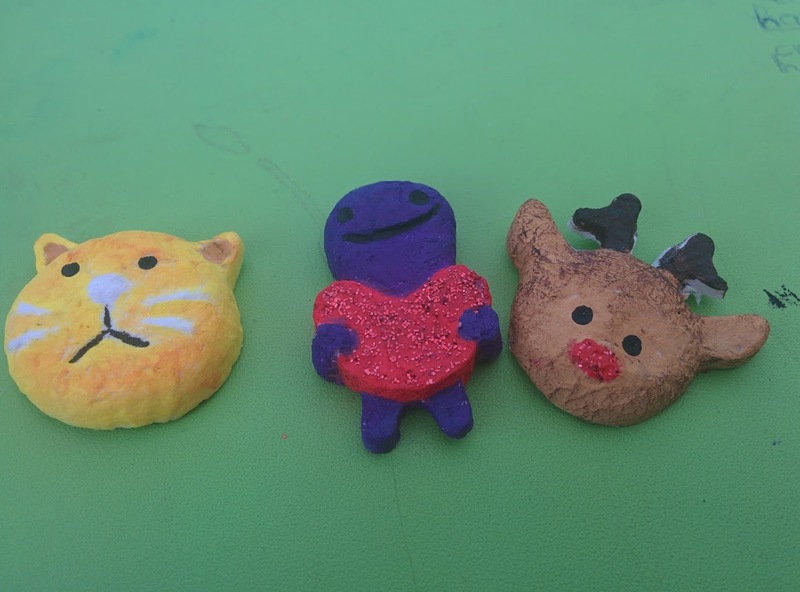 I had some fun playing with clay in the fondant mould. It works really well with the polymer clay that I used, and these would look very nice on a box project that I’m working on. I’m excited to used the ginger bread man moulds as the examples on the packet were so cute, showing a princess and monster. It got my creatives thinking. This material is kept close to my heart. Whether it’s painting cookie monster as a kid, casting and painting cats with my brother or being the only one the teacher entrusted to mix the plaster properly in sculpture class in college. I’ve been looking for months for plaster of Paris, which suddenly disappeared from the store I used to buy it. Today I walked down to the hardware store, and brought a kilo bag of it. I have a couple of tips, that I’ve learned, to share. First off, mixing. If you’re mixing a big batch, the best way to mix is in a giant bowl with your hand. It’s useful to have two people, as you do not want any moisture getting near the plaster bag. Fill the bowl with about a third to half of cold water. Moving very gently back and forth with your hand, add a small amount of plaster at a time. Wait for it to dissolve before adding more. Move slowly, so you avoid making bubbles. The mixture will be ready when you lift your hand out of the mixture and it will be covered with a slightly thick milky film. Once the mix is ready, you’re ready to create. You can either create a mould for clay, take a cast of a mould or pour into a disposable container for carving. When taking or creating moulds, the best way to get details is to use an old paintbrush to coat the area where the plaster will be going while it’s still runny. Once coated, get a plastic spoon and spoon it gently onto your project. If you time it right, it’ll probably be getting thick towards the end of the process. Try to make more than you’ll need, I’m not sure that adding layers of varying degrees of set plaster would be as strong. Plaster can be sanded and carved with ease. It is quite heavy, so unless your pieces are tiny, they may not be suitable for cards or paper crafting. I’m planing on gluing mine to a wooden box to decorate it for a friend. Plaster of paris is porous, so doesn’t need any preparation before painting. It’s an all round excellent medium to work with for all ages and skill levels.